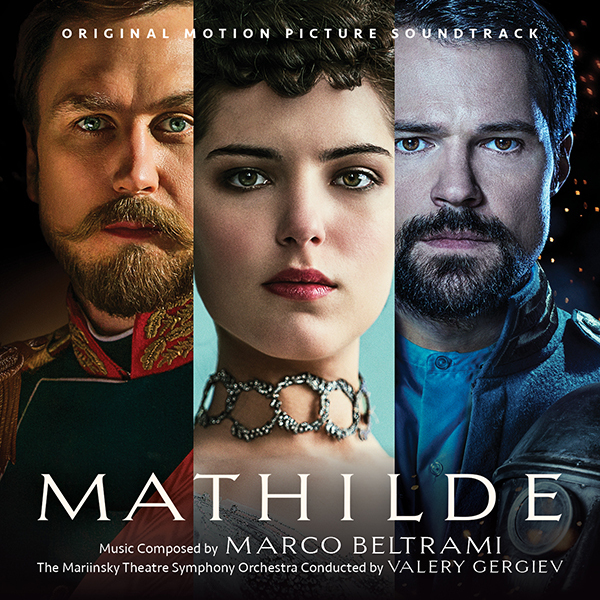 MovieScore Media reunites with Marco Beltrami with his score for the Russian historical drama Mathilde, featuring the world-class musicians of the Mariinsky Opera, conducted by the world-renowned Valery Gergiev. Mathilde tells the story of the supposed romantic relationship between the heir to the Russian throne, Nicholas Romanov, and the ballerina of the Imperial Theater, Matilda Kshesinskaya. The story opens with the first meeting between the 22-year-old crown prince and 18-year-old ballerina in 1890, then follows the tormented affair up until the coronation of Nicholas and his wife Aleksandra in 1896. Coinciding with the 100th anniversary of the revolution that lead to the tsar’s abdication, Mathilde spans gorgeous costumes and a emotionally charged score to match the drama. "I was immediately drawn to the story, the costumes, the sets… it was simply a gorgeous looking movie" says Marco about the film. Using only a handful of themes to underscore the forbidden affair, the music is anchored by Mathilde’s theme for the young dancer who finds herself in royal intrigue. The other major thematic elements include a lively chase theme written around a violin solo ('Twilight of the Empire') and a sinister theme for the proto-Rasputin mystic Dr. Fishel ('Fishel’s Holograph') and some chase sequences that highlight the composer’s skills in using unobtrusive electronic elements that don’t sound out-of-place in a historical films either ("Tent Attack", "Bear Attack"). Following his groundbreaking score for Scream, Marco Beltrami became the most reliable genre composer following the adventures of alien invaders (The Faculty), vampires (Blade II), ghosts (The Woman in Black) and zombies (World War Z). He is frequently trusted with scoring the most valuable Hollywood properties: he worked on the remakes of The Omen, The Thing and Carrie, but he also took over from Michael Kamen on the last two Die Hard movies. Beltrami’s regular filmmaking partners include Wes Craven (Scream 1-4, Dracula 2000), Guillermo del Toro (Mimic, Hellboy), James Mangold (3:10 to Yuma, The Wolverine) and Tommy Lee Jones (The Three Burials of Melquiades Estrada, The Homesman). His previous release with MovieScore Media was the Danish television mini-series 1864.